Adam Ward runs Blockparty Suites so that you can enjoy premium tailgates at your favorite sporting events. If you’re a sports fan, then you understand the thrills of attending a game in person—from fan energy and delicious ballpark and stadium concessions to, of course, the parking lot pre-game. Adam Ward, co-founder and CEO of Blockparty, is in the business of tailgating. His company transforms used shipping containers into tailgating “suites” and brings them to market—we’re talking football, baseball, and other, mostly outdoor sporting events—fully equipped and ready to party with premium lounge furniture, top-notch TVs, a smiling staff, and a full bar. Blockparty’s clients and partnerships range in size and location and include everyone from SMU, UNT, and UCLA to The Cotton Bowl, AT&T Stadium, and Live Nation. Product offerings are flexible, too; tailgaters can choose from tiered tailgates that include both full-service shipping container suites staffed by Blockparty and self-service tents that smaller parties can rent. Ward started Blockparty in a Dallas apartment while his co-founder crashed on his couch. 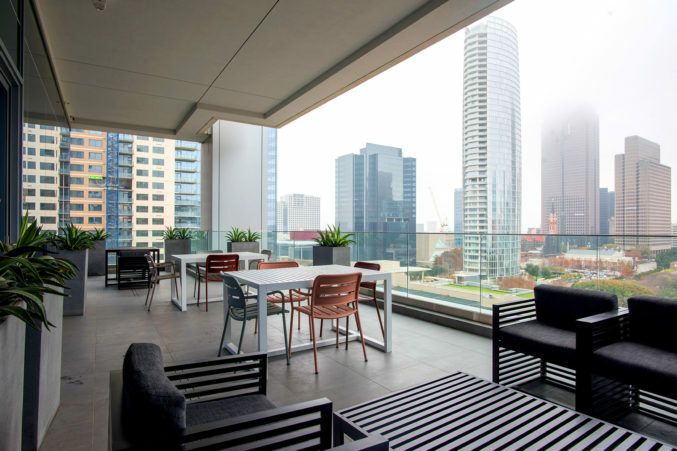 These days, the team has grown and graduated to a 32-person, conjoined office at WeWork’s Uptown Dallas shared office space, where it enjoys amenities like floor-to-ceiling glass windows framing a great view of McKinney avenue and WeWork sponsored happy hours and hospitality events to encourage coworkers getting to know one another. WeWork also has a localized app, where tenants in each location can share and communicate with other tenants through filters like the same WeWork office, cities, industries, and beyond. “For us, coworking is great. It’s the whole theory of creating spontaneous moments—you connect with people, and you learn,” Ward says. 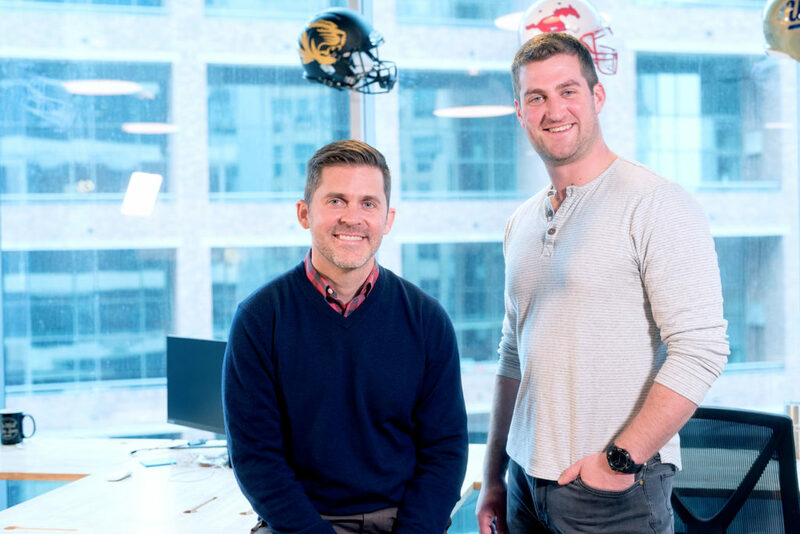 Blockparty has operated in multiple shared office spaces since its kitchen table days, acquiring employees and business partners along the way before landing at WeWork. “It’s not just physical space, it’s also about the network that you build,” Ward explains. Officing at WeWork also provides Ward and Blockparty the advantage of mobility, meaning it can operate out of locations in various parts of the country when meeting with board members or conducting business with new and existing clients. So if you’re looking to breathe some fun new life into your athletic department or sports team’s game-day events, call Blockparty. And if you’re looking for a mutualistic office space that can help your budding business develop and grow, visit a WeWork.